Introducing Falken´s next generation of light truck tyres for the summer season. 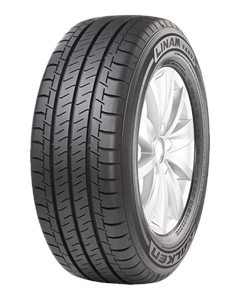 The Linam VAN01 offers superb durability and safety, in addition to improved wear life and economy. A superb choice for any fleet or business looking to boost the efficiency and productivity of its light trucks. Enhanced durability provided by the sidewall protection band. Even wear life via increased pattern stiffness and flatter tread profile. Longer-lasting performance throughout the life of the tyre. Maximised road contact area through 4D-Nano Design technology.